Eternal Orthodox Church calendar for the 24.08 year 2017. He was a deacon from Catania in Sicily. "Me Emperor Diocletian sent a commander, Pentagurus, to Sicily to exterminate any Christians that he found there. Pentagurus did not find a single Christian, for they had hidden from the persecutor and did not show themselves. Then someone accused Euplus of taking a book to some secret Christians and reading to them. This book was the holy Gospel. He was therefore soon taken for trial, and, with the book hung round his neck, put in prison. After seven days of imprisonment and hunger, he was put to torture. When they whipped him with iron flails, Euplus mockingly said to the torturing judge: "You fool; don"t you see that these tortures are, to me, like a cobweb? If you can, find other, harsher tortures, as these are like playthings." Finally, they led Christ"s martyr to the scaffold. Then St Euplus opened the holy Gospel and read from it to the people for a long time. Many turned to the Christian faith, and St Euplus was beheaded, in the year 304, and went to the heavenly Kingdom. His wonderworking relics lie in a village near Naples called Vico della Batonia. The daughter of Gavinius, a Christian priest in Rome, she was niece to Pope Gaius, of blood and kin with the reigning Emperor, Diocletian. This Emperor had an adopted son, Maximian Galerius, who wanted to marry Susanna, but she was utterly dedicated to Christ the Lord and had no desire for marriage, especially with an unbaptised man. 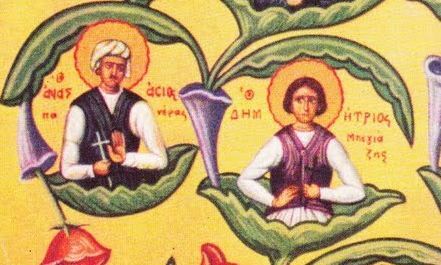 Susanna brought those who had requested her for the Emperor"s son, the patricians Claudia and Maxima, to the Christian faith with all their households. Infuriated by this, the Emperor issued orders and the executioners took Claudia and Maxima, with their families, to Ostia, where they were burned and their ashes cast into the sea. 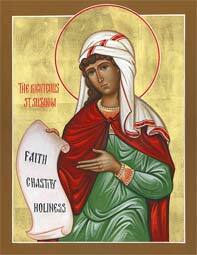 Susanna was beheaded in Gavinius"s house. The Emperor"s wife, Serena, a secret Christian, took Susanna"s martyred body by night and buried it, and Pope Gaius turned the house where Susanna was killed into a church and held services there. Soon after this bride of Christ suffered, her father Gavinius and Pope Gaius also suffered. They all suffered with honour for the Lord, and received wreaths of glory, in the years 295 and 296. 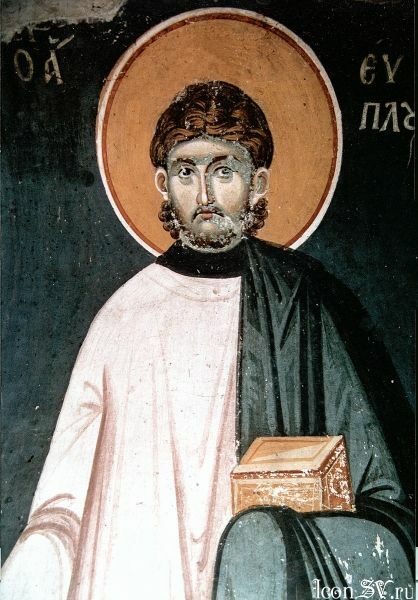 Born in Greece, he became a monk in his youth and lived in asceticism, first away from the Holy Mountain and then on it in various monasteries, staying longest in Vatopedi and Dionysiou. He was beloved by all on the Holy Mountain, both for his rare wisdom and for his meekness. 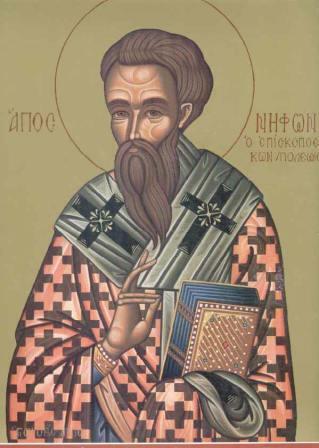 He was made Bishop of Salonica against his will, and, two years later, went to Constantinople in the course of his work and was there chosen for the vacant patriarchal throne. He was banished by the Sultan to Jedrene, where he lived in exile. Prince Radul of Wallachia asked the Sultan for him, and made him his archbishop. 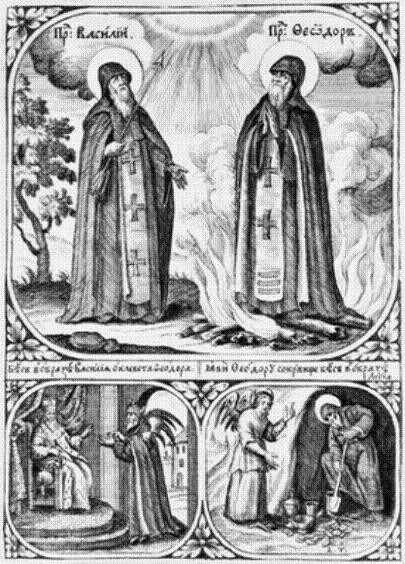 Because of Radul"s transgressions, Niphon left the province of Wallachia and went to the Holy Mountain, to the community of Dionysiou, where he lived in asceticism till the age of ninety, going to the Kingdom of God in 1508. He compiled the "Prayer at Departing" that is read at funerals. The Monk Passarion pursued asceticism in the first half of the V Century. He founded a monastery in Jerusalem. He was "chor-episkop" (vicar-bishop) of Palestine, and conversant with the Monk Euthymios the great (Comm. 20 January).